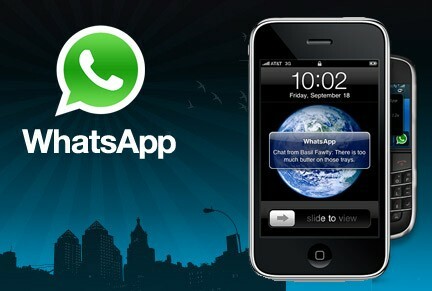 WhatsApp Messenger, a popular IM app, has gone free in the App Store. What makes WhatsApp different from other IM apps is that it is cross platform, meaning it works on Android, BlackBerry, and Nokia phones. WhatsApp has its advantages over iMessage. First off, it allows you to message other users on different platforms. Along with that, you can also do BBM like features, such as broadcasting a message to all your friends, and sending your location. If you’re interested in download WhatsApp, you can do so here. What do you think? Do you use WhatsApp Messenger? 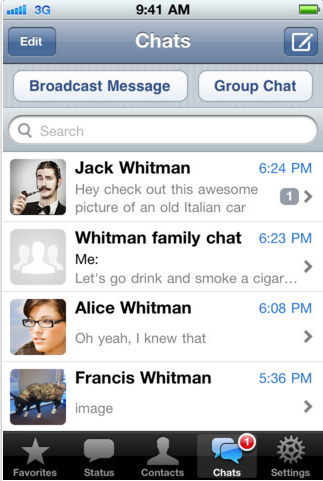 Or do you prefer iMessage?